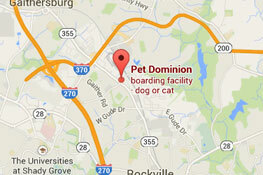 Pet Dominion is an AAHA accredited facility offering top-of-the-line veterinary services as well as premium pet boarding, daycare, and training. Our state-of-the art facility offers wellness programs, dental care, nutritional counseling, acupuncture, surgery and much more. 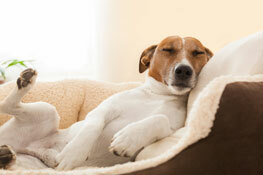 With soft bedding, fun activities, and lots of love from our specially trained staff, your pet will feel right at home while you’re away. From underwater treadmills, to therapeutic ultrasound, our canine therapy doctors can help improve the quality of life for your dog. Stop by and take a tour of our great facility! 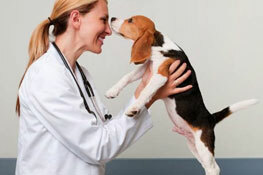 We specialize in providing comprehensive pet care. 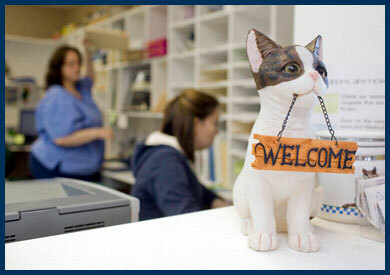 The professional and courteous staff at Pet Dominion in Rockville, MD seeks to provide the best possible veterinary medical care, surgical care and dental care for their highly-valued patients. We are committed to promoting responsible pet ownership, preventative health care and health-related educational opportunities for our clients. 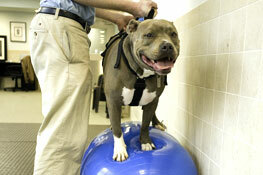 We offer affordable ACL repair and FHO/MPL! ¡Si necesita un veterinario que hable Español en Montgomery County, Aprende Más!